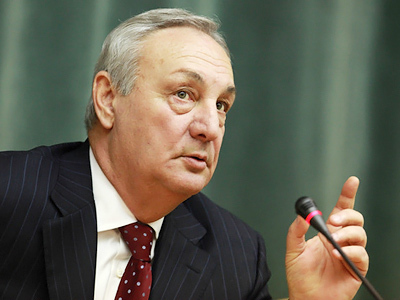 The funeral of Abkhazia's President Sergey Bagapsh has taken place in his home village following his death five days ago in a medical center in Moscow. Thousands had earlier filed past his coffin as the leader lay in state in the capital Sukhum. 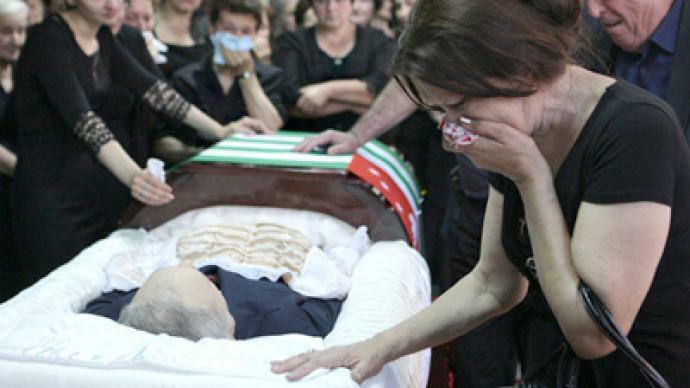 Sergey Bagapsh was buried next to his parents in his home village of Dzhgerda. He had also served as prime minister, a post he held when the state first declared independence from Georgia. During his rule the de-facto independent republic gained international recognition. 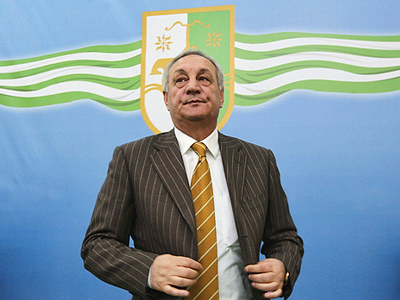 Bagapsh died at the age of 62, and his colleagues have pledged to continue negotiating for Abkhazia's recognition as an independent republic, despite obstacles from the world's major powers. Sergey Bagapsh dreamt of a career in agriculture, but instead ended up sowing the seeds of democracy in a newly born independent state he had helped nurture to life. He was a man who managed to rise to the highest post in his land, but never drifting too far from his roots. Born into a family of teachers in the small Abkhazian village of Dzhgerda, most locals knew Bagapsh personally. They say he always cared about people’s needs, and that was key to his success as president. Villagers are stunned that he has left them so early. Most local men generally live well into their eighties. “After the war Abkhazia lay in ruins. He helped rebuilt everything. We will always remember this man,” one local says. The small Caucasus republic struggled to get international recognition following the war against Georgia in 1992. Hundreds of people were killed; thousands of Abkhazians were forced to flee their homes. Bagapsh was first elected in 2004. During his presidency, Abkhazia gained recognition from Russia, managed to avoid open conflict with neighboring Georgia, stood by its ally when South Ossetia was attacked by Georgian troops in 2008, and finally, established diplomatic ties with several states, among them Nicaragua, where the Abkhazian president was greeted as an honored guest. And that feeling of stability is something Sergey Bagapsh will always be remembered for.